Love that it also comes in solid colors like black and white...how cute and comfy does this look? Also loving this long sleeve version to transition out of the cold weather. It comes in a ton of colors and looks very forgiving...can't wait to get my hands on it! Easy to wash loose tops are a postpartum/nursing must! I lived in piko tees since they worked as their own nursing cover, ha. Love your picks! I haven't been to express in so long, I'm going to need to check those out! 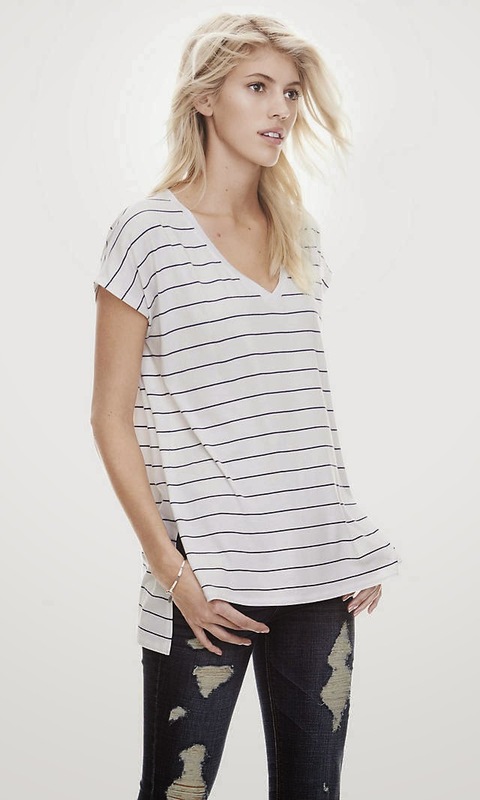 I love those loose fitting tops, I'm not even post partum and I feel like I want them all! Haha!! I have lived in J. Crew swing sweaters postpartum and I am so sad they did away with them! Those are all so cute and comfy looking! Oh these are perfect for the preggo girl too! And I remember your days at Express like they were yesterday. What fun that was! i love those slouchy shirts! looks like i'll be heading to the mall soon! Agreed, love the vibe of the new collection. Ever since becoming a mom my style has gotten much more about simple well made pieces. Ordering a few of these now! They'd be perfect for my baby bump.